Kris Allen is Lyell B. Clay Artist in Residence in Jazz and Lecturer in Music at Williams and the director of the Williams Jazz Ensemble. 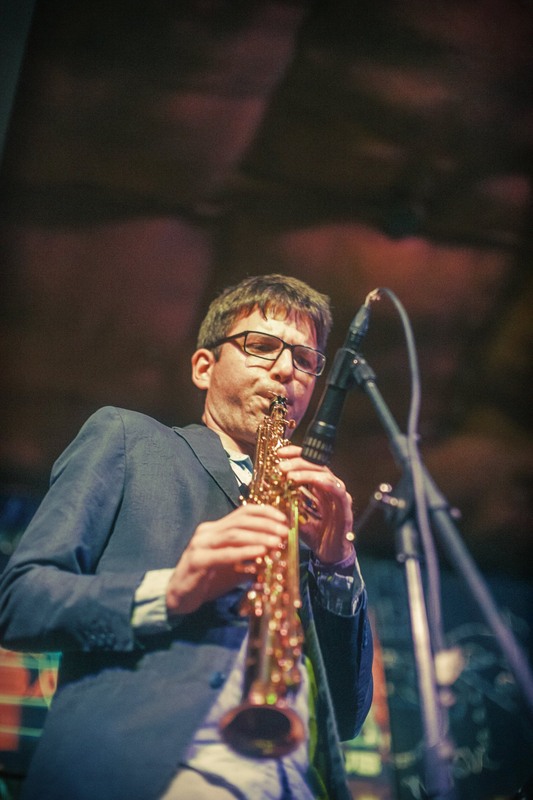 An award winning saxophonist and composer, Allen has performed and/or recorded with Illinois Jacquet, Gerald Wilson, Andy Gonzales, Helen Sung, Winard Harper, Jimmy Greene, Andy Laverne, the Mingus Dynasty, and Mario Pavone. A member of the Truth Revolution Recording Collective, Allen has released two critically acclaimed albums of original works performed by his quartet: Circle House (2012) and Beloved (2017). He has enjoyed a long-term musical association across several projects with pianists Zaccai Curtis, Jen Allen, Noah Baerman and and Andy Jaffe, and was been a member of Kendrick Oliver’s New Life Jazz Orchestra for over a decade. Prior to to his time at Williams, Allen held positions at Trinity College, the Hartt School, Southern Connecticut State University, and the Greater Hartford Academy of the Arts. He has been a senior teaching artist in the many educational programs of Litchfield Performing Arts since 2001. Kris is a Vandoren Artist, and plays Vandoren mouthpieces, reeds and ligatures exclusively. Visit www.krisallenjazz.com for more information about performances and other current news.